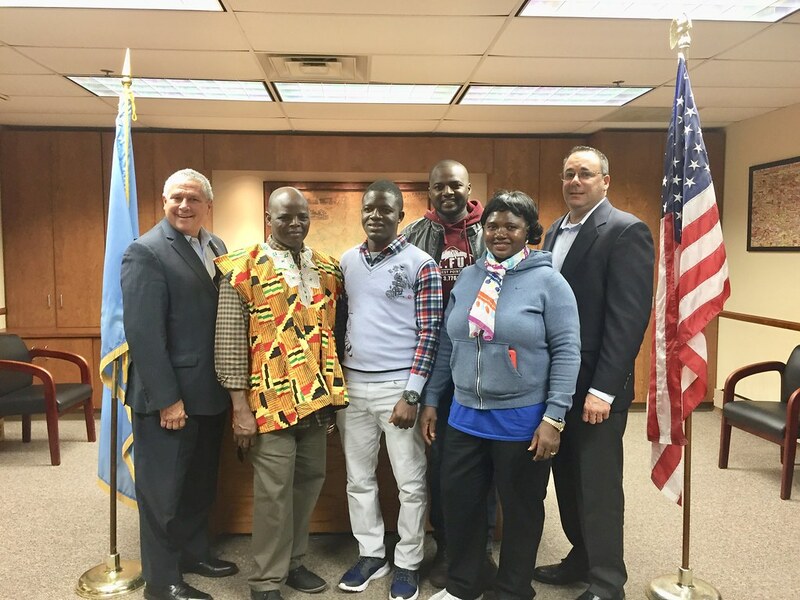 When Hillsborough Township Administrator, Anthony Ferrera was Mayor at the Township, he was approached by a resident for assistance in securing a visa for his wife, who was in Ghana. Mr. John Adombire Afayuure had come to Hillsborough in 1998, leaving his wife Mary Atiah, daughter Gifty, two sons Daniel and Barnabas in Ghana. It was John’s wish to bring his wife from Ghana. Anthony Ferrera, who was Mayor of Hillsborough at the time, assisted the resident, and in 2007, John, his wife Mary, daughter Gifty and son Barnabas were reunited in Hillsborough Township. Fast forward to 2018, John approached Administrator Ferrera a second time for assistance to bring son Daniel to Hillsborough. In a collaborative effort between Congressman Lance’s and Senator Bateman’s Offices, Daniel was reunited with his family on October 7, 2018. “My office is ready to assist families in legal immigration matters and visa requests. Many hard-working people come to the United States to be part of our country’s national fabric and they choose to live and work in wonderful communities like Hillsborough. I wish our new residents great prosperity,” stated Congressman Lance. Congressman Lance’s New Jersey District Offices can assist in legal immigration cases and other matters involving federal entities. You can reach his Westfield Office at (908)518-7733 or Flemington Office at (908)788-6900.